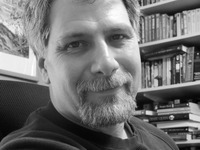 Douglas Hulick is author of "Among Thieves", the first book in the "Tales of the Kin" fantasy-adventure series. He is busy at work on the as-yet untitled second book in the series, with a third to follow. When not writing, Douglas is a stay-at-home dad (or should that be: when not busy being dad, Douglas is an as-time-permits-writer?). Either way, he makes his home in the upper Midwest. He has a B.A. and M.A. in medieval history, with minors in history and anthropology. Who knew they would come in useful? Asi Douglas Hulick is author of "Among Thieves", the first book in the "Tales of the Kin" fantasy-adventure series. He is busy at work on the as-yet untitled second book in the series, with a third to follow. We’d love your help. Let us know what’s wrong with this preview of The Princess Bride by William Goldman. July FANTASY: This first round poll decides which two books will go on to the second round for our July 2014 Fantasy Book-of-the-Month. Don't worry about the delay! Thanks for doing some great writing! Among Thieves is high on my list of books. Writing a book a year is something most authors can't do so don't get too stressed out!! I look forward to it whenever it hits some shelves. I've settled for giving Thieves as a gift to people. Hi Thanks Douglas, I hope the writing is going well! I'm looking forward to reading Sworn in Steel and anything else you write! You were not a fan of either Dune or Ender's Game! Oh my! Why?